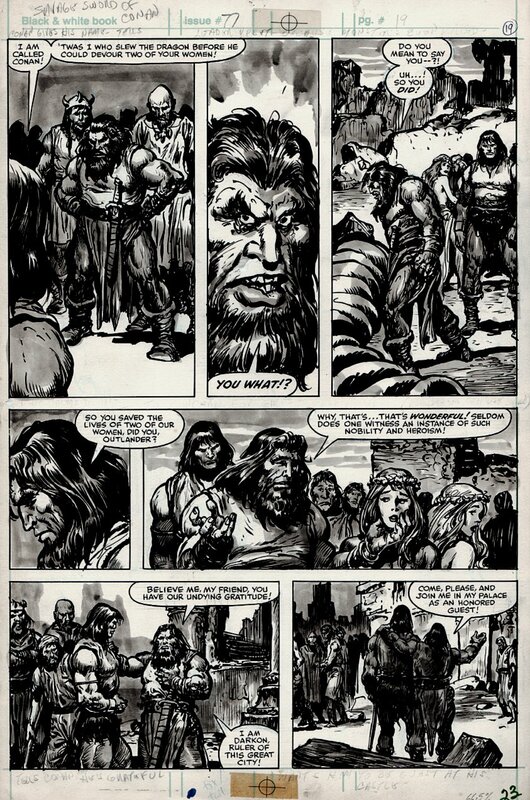 Click Here To See Savage Sword of Conan #77 Comic Book! Check out this very nice Bronze Age Conan action page, which was penciled by the great John Buscema, and inked by the great Ernie Chan, from the story titled: "The Cave Dwellers!" Conan appears in 5 great wash toned panels! Conan ends up in jail in the city of Shadizar but escapes with the help of petty criminal Pharak. They flee to the mountains where they find an ancient city and slay a dragon to save two maidens. The city is ruled with an iron hand by the ruthless Darkon, who has subjugated the people with the threat from his domesticated dragons. 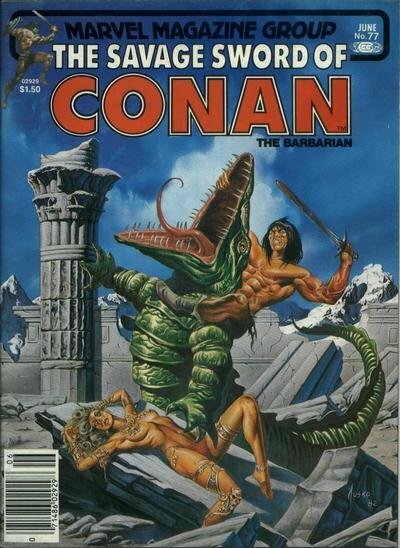 Conan refuses to join him and is hunted through the jungle. Pharak dies. Darkon and his men die in a battle against Conan in the hills. A great opportunity here to own a nice JOHN BUSCEMA Bronze Age Conan page! ALL art on our website (including this one) are able to be purchased with VERY fair time payments, and trades are always considered towards "ANY" art on our website! Just send us an email to mikeburkey@aol.com and we can try to work something out.